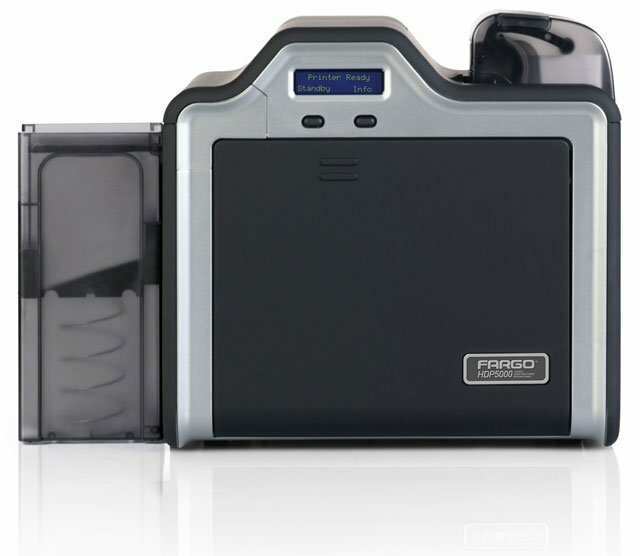 HDP5000 Single-sided ID Card Printer, Ethernet/USB 1 Year Full Service Warranty with Loaner Express Plus 1 Year Limited Warranty (Parts & Labor), Ask about Extended Warranty options for this printer. Single-sided Printing Bundle. Bundle includes: HDP5000 single-sided printer, AsureID Express Photo ID Software, high-end USB digital Web camera, YMCK Print Ribbon, HDP Film, Ultracard Premium Cards - 500 count, USB Printer Cable and 1-year AsureID technical support. 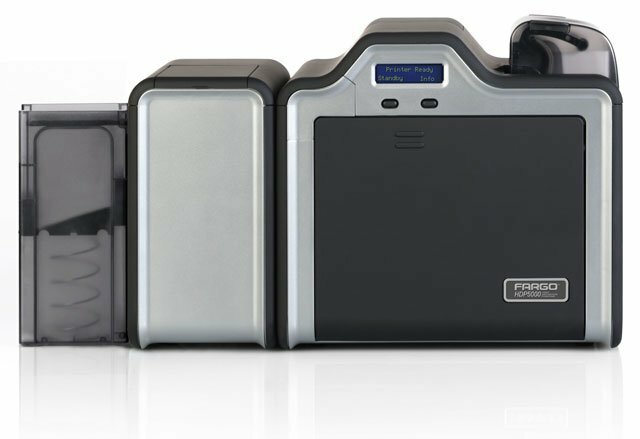 HDP5000 Duplex ID Card Printer Ethernet/USB Three year warranty, 1 Year Full Service Warranty with Loaner Express Plus 2 Year Limited Warranty (Parts & Labor), Ask about Extended Warranty options for this printer. HDP5000 Duplex with Single Lamination Ethernet/USB Three year warranty, 1 Year Full Service Warranty with Loaner Express Plus 2 Year Limited Warranty (Parts & Labor), Ask about Extended Warranty options for this printer. HDP5000 High Definition Card Printer-Encoder (Double-sided PRINT/LAM, ISO MAG, MIF/DES CON SM Card, SEC Locks). This part is also known as 089993. HDP5000 Double-side PRT & LAM, MAG, ICL/MIF/DES/SM CD ENCODER, TAA. This part is also known as 089690U. HDP5000 1.0 Overlam Half-patch for Magstripe Side of Card 250 ct. Overlam has thin "border" around the edges. HDP5000 1.0 Overlam with chip cutout 250 ct. Overlam has thin "border" around the edges. Full Color (YMCKK) Ribbon, 500 images. The ribbon is used to print in a variety of colors: yellow (Y), magenta (M), cyan (C), and black (K) on the front of the card. The second (K) allows for black print on the back of the card. This ribbon is used to print text and full color images on one side and black on the back side of the card. Compatible with HDP5000, Hdpii. This part is also known as 084052.